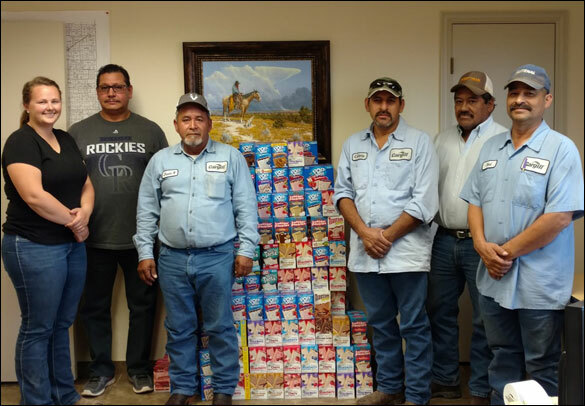 Cargill Cattle Feeders Bovina, TX collected 2,470 Pop Tarts to deliver to Snack Pak 4 Kids in Friona. The Feed Team collected the largest amount of Pop Tarts. Left to right: Kelsey Beel, Gregorio Romero-Saenz, Jesus Borunda, Cayetano Lopez, Gonzalo Cardenas, and Raul Merino. 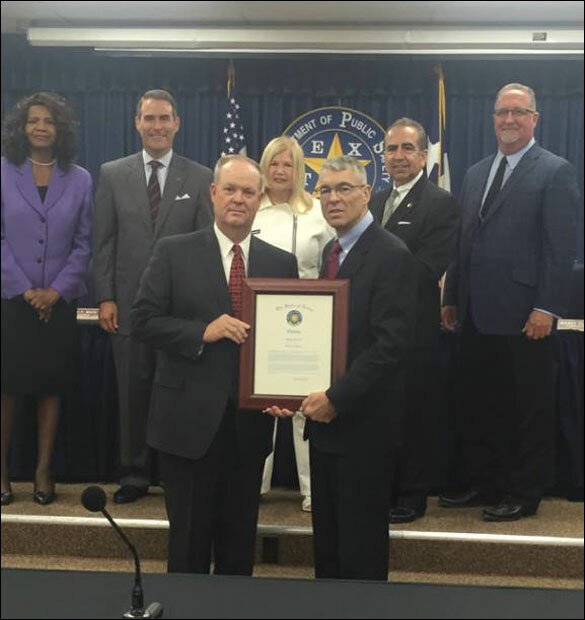 Ricky Barnett, left, receives a Director’s Award from the Department of Public Safety (DPS) during recent ceremonies in Austin. Barnett helped Trooper Gary Reed control, handcuff, and arrest an intoxicated driver who was resisting arrest near Barnett’s home on FM 2397.